The Vein Clinic is a group of consultant vascular surgeons who specialise in vein treatments. Our specialists are accredited with The Ireland Medical Council and have a particular interest in venous disease. They offer you private treatment for varicose veins, thread veins and facial veins. 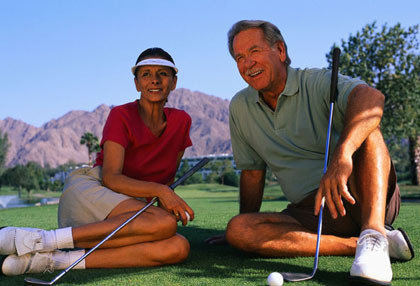 Included in our ranks are leading experts on vein problems. The most modern methods of diagnosis and management of vein disorders are used in the Vein Clinic. 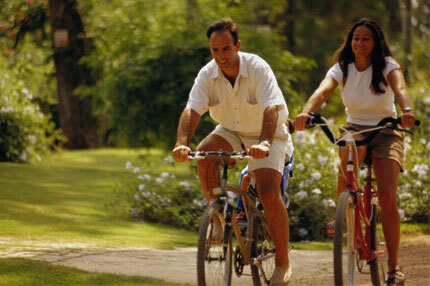 Our specialists are recognised by private medical insurance companies for the treatment of symptomatic vein problems. For those not insured we offer affordable packages for all our procedures. Cosmetic treatments are offered at competitive rates. Ultrasound Guided Foam Sclerotherapy and RF Ablation are modern treatments for for varicose veins which are performed as outpatient procedures. These allow you to carry on life as normal; there is little or no discomfort and minimal bruising afterwards. The outlook for patients with lower limb arterial disease is bleak. A diagnosis of critical limb ischaemia, even if successfully treated, brings a life expectancy of 5 years or less. The reason for this is that the arterial disease is not confined to the lower limbs. The causes of the leg artery disease (smoking, diabetes, hypertension, poor diet, genetic predisposition) affect all arteries in body. Heart attacks and strokes account for a substantial number of the early deaths. In general, patients with lower limb arterial disease are treated with medication to address hyperlipidaemia and hypertension as well as aspirin which reduces the frequency of cardiovascular events. But is there anything else that can be done? Recently, a study has been published comparing aspirin treatment alone with aspirin combined with the anticoagulant drug, rivaroxaban at a low dose. Patients had lower limb arterial disease or carotid artery disease. The outcome measures included cardiovascular death, myocardial infarcts and strokes as well as lower limb amputations. The findings showed a 30% reduction in cardiovascular events and halving of the frequency of limb amputations in the aspirin + rivaroxaban group compared to the aspirin group. This indicates a substantial clinic benefit for this strategy amounting to better news for patients with peripheral vascular disease. Rivaroxaban with or without aspirin in patients with stable peripheral or carotid artery disease: an international, randomised, double-blind, placebo-controlled trial. Lancet. 2017 Nov 10. pii: S0140-6736(17)32409-1. doi: 10.1016/S0140-6736(17)32409-1. Anand SS, Bosch J, Eikelboom JW, Connolly SJ, Diaz R, Widimsky P, Aboyans V, Alings M, Kakkar AK, Keltai K, Maggioni AP, Lewis BS, Störk S, Zhu J, Lopez-Jaramillo P, O’Donnell M, Commerford PJ, Vinereanu D, Pogosova N, Ryden L, Fox KAA, Bhatt DL, Misselwitz F, Varigos JD, Vanassche T, Avezum AA, Chen E, Branch K, Leong DP, Bangdiwala SI, Hart RG, Yusuf S; COMPASS Investigators. Patients with peripheral artery disease have an increased risk of cardiovascular morbidity and mortality. Antiplatelet agents are widely used to reduce these complications. This was a multicentre, double-blind, randomised placebo-controlled trial for which patients were recruited at 602 hospitals, clinics, or community practices from 33 countries across six continents. Eligible patients had a history of peripheral artery disease of the lower extremities (previous peripheral bypass surgery or angioplasty, limb or foot amputation, intermittent claudication with objective evidence of peripheral artery disease), of the carotid arteries (previous carotid artery revascularisation or asymptomatic carotid artery stenosis of at least 50%), or coronary artery disease with an ankle-brachial index of less than 0·90. After a 30-day run-in period, patients were randomly assigned (1:1:1) to receive oral rivaroxaban (2·5 mg twice a day) plus aspirin (100 mg once a day), rivaroxaban twice a day (5 mg with aspirin placebo once a day), or to aspirin once a day (100 mg and rivaroxaban placebo twice a day). Randomisation was computer generated. Each treatment group was double dummy, and the patient, investigators, and central study staff were masked to treatment allocation. The primary outcome was cardiovascular death, myocardial infarction or stroke; the primary peripheral artery disease outcome was major adverse limb events including major amputation. This trial is registered with ClinicalTrials.gov, number NCT01776424, and is closed to new participants. Between March 12, 2013, and May 10, 2016, we enrolled 7470 patients with peripheral artery disease from 558 centres. The combination of rivaroxaban plus aspirin compared with aspirin alone reduced the composite endpoint of cardiovascular death, myocardial infarction, or stroke (126 [5%] of 2492 vs 174 [7%] of 2504; hazard ratio [HR] 0·72, 95% CI 0·57-0·90, p=0·0047), and major adverse limb events including major amputation (32 [1%] vs 60 [2%]; HR 0·54 95% CI 0·35-0·82, p=0·0037). Rivaroxaban 5 mg twice a day compared with aspirin alone did not significantly reduce the composite endpoint (149 [6%] of 2474 vs 174 [7%] of 2504; HR 0·86, 95% CI 0·69-1·08, p=0·19), but reduced major adverse limb events including major amputation (40 [2%] vs 60 [2%]; HR 0·67, 95% CI 0·45-1·00, p=0·05). The median duration of treatment was 21 months. The use of the rivaroxaban plus aspirin combination increased major bleeding compared with the aspirin alone group (77 [3%] of 2492 vs 48 [2%] of 2504; HR 1·61, 95% CI 1·12-2·31, p=0·0089), which was mainly gastrointestinal. Similarly, major bleeding occurred in 79 (3%) of 2474 patients with rivaroxaban 5 mg, and in 48 (2%) of 2504 in the aspirin alone group (HR 1·68, 95% CI 1·17-2·40; p=0·0043). Low-dose rivaroxaban taken twice a day plus aspirin once a day reduced major adverse cardiovascular and limb events when compared with aspirin alone. Although major bleeding was increased, fatal or critical organ bleeding was not. This combination therapy represents an important advance in the management of patients with peripheral artery disease. Rivaroxaban alone did not significantly reduce major adverse cardiovascular events compared with asprin alone, but reduced major adverse limb events and increased major bleeding.